In 2012 the New World Order will suffer major defeats to their totalitarian one world government/population reduction agenda. The defeats will not be from violent revolution, massive protests, or people continuing to beg corrupt politicians for mercy – as if 535 politicians really represent 315,000,000 people. No, the defeats will be attributed to a mass awakening and a significant portion of the population simply refusing to take actions that violate their conscience. The elites only have two primary tools, which are well know to anyone that reads the alternative media: secrecy and deception. Their criminal enterprise will end as millions more, if not billions, awaken in 2012. Since the 1990s, researcher David Icke has been saying that there would be a point in time when the New World Order agenda is out in the open, exposed for all to see. Fortunately, that is when the agenda is most vulnerable, as many people will “wake-up” and see that humanity and their loved ones are in great danger. That time is now. Justified by the War on Terror hoax, the National Defense Authorization Act (NDAA) was recently signed into law (assuming Obama is legitimately the president, which is a huge assumption). The legislation declared the United States a battlefield. The military can arrest American citizens, detain them indefinitely, torture and interrogate them without charge or trial. In essence, this Act implemented martial law in the United States. It also nullifies the Magna Carta of 1215, Bill of Rights and Posse Comitatus, which prohibited the military policing civilians inside the U.S. since 1878. In 2006, KBR was awarded a contingency contract from the Department of Homeland Security, allegedly to support its Immigration and Customs Enforcement facilities in the event of an emergency, Market Watch reported. Last month a document originating from KBR demonstrated that the government is activating FEMA camps across the United States. Entitled “Project Overview and Anticipated Project Requirements,” the document describes services that KBR is looking to farm out to subcontractors. Make no mistake, like 9/11, passage of the NDAA was the globalists’ coming-out party, and your opportunity to inform others. The tyranny has now been revealed in black and white on paper, and thousands of articles have been written to support you in discussing the issues with others. Ron Paul is leading many polls despite unprecedented smear campaigns by the shameless Big 6 Media. Whether elected president or not, Paul is educating the public about the private Federal Reserve bankster cartel, ending murderous and unconstitutional wars, sound money, health issues and individual liberty. He also has received more campaign donations from members of the military than any other candidate, a sign that many in the military are informed and will not carry out treasonous orders if given. More and more people are learning that the Federal Reserve is a private cartel that enriches corrupt banksters by creating money out of nothing and loaning it at interest, thereby enslaving the population with a debt that can never be repaid. Recently the head of security at the San Antonio Federal Reserve bank admitted that the institution is private, as did a San Francisco Federal Reserve employee. Additionally, the public is aware that the largest banks were bailed out with $29 trillion dollars created from nothing. Those same banks continue to foreclose on the homes of people that actually had to produce a good or service to make their monthly mortgage payments. 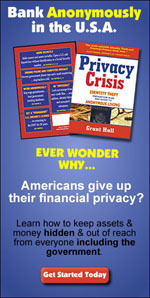 Many people are taking action against the New World Order’s banking system. November 5th was hailed as Bank Transfer Day, the final day in a month-long demonstration to move money out of the big banks and into smaller, localized credit unions. Leading up to November 5th, $4.5 billion was taken out of major financial institutions. Additionally, local credit unions across the country accumulated around 650,000 new customers in the month of October. It is now common knowledge that the drug war is a fraud. Low-level street dealers of marijuana are arrested and placed in cages smaller than those of many zoo animals — at taxpayer expense. At the same time, the CIA imports massive quantities of cocaine and heroin to fund their murderous black operations. U.S. troops openly admit that they support the Afghan heroin trade. People are waking up! Recently Montana jurors used their power of nullification by refusing to convict a man for marijuana possession. Jury nullification occurs when a jury returns a verdict of “Not Guilty” despite its belief that the defendant is guilty of the violation charged. The jury in effect nullifies a law that it believes is either immoral, or wrongly applied to the defendant whose fate they are charged with deciding. Once a jury returns a verdict of “Not Guilty,” that verdict cannot be questioned by any court and the “double jeopardy” clause of the Constitution prohibits a retrial on the same charge. If you sit on a jury, never forget you have the power of nullification. Related to the drug war, emails show ATF agents congratulating each other for blaming border violence on guns bought from U.S. dealers despite the fact that the feds delivered the weapons straight to Mexican drug gangs under the Fast and Furious program. The purpose of the program admittedly is to demonize the Second Amendment and push new gun control regulations. The people are now aware that most members of Congress are as corrupt as Don Jon Corzine. “The median net worth of a member of Congress climbed to $913,000, a 15 percent increase from 2004 to 2010. During the same period, the net worth of the average American dropped 8 percent, to roughly $100,000.” Congress’ approval rating is currently a whopping 16 percent. The polls show that 83 percent of the population disapprove of their government, and therefore may be indefinitely detained as enemy combatants without charge under the NDAA. The number of parents that refuse to inject their children with toxic vaccines is rapidly increasing. They must be aware that voluminous research proves vaccines are deadly. Before his death, Merck vaccine scientist Dr. Maurice Hilleman admitted the presence of SV40 and cancer viruses in vaccines. It is estimated that over 200 million doses of SV40 contaminated viruses were given to the public, a possible explanation for the dramatic increase in cancer rates over the last 100 years. By 1999, numerous pathologists, microbiologists, and virologists throughout the world had detected SV40 in a variety of human cancers such as brain tumors, bone cancers, and lung cancer. These were the very same cancers that were created when SV40 was introduced into animals. After careful study documented in peer-reviewed publications, leaders in SV40 research announced that SV40 was a class 2A human carcinogen. 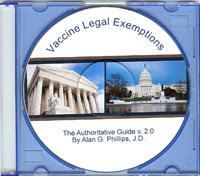 As reported by multiple sources during March of 2009, including the Times of India, vaccines contaminated with deadly live H5N1 avian flu virus were distributed to 18 countries in December 2008 by a lab at an Austrian branch of Baxter. By chance the batch was first tested on ferrets in the Czech Republic, before being shipped out for injection into humans. The ferrets all died and the shocking discovery was made. Czech newspapers immediately questioned whether the events were part of a conspiracy to deliberately provoke a pandemic, following up on accusations already made by health officials in other countries. Initially, Baxter attempted to stonewall questions by invoking “trade secrets” and refused to reveal how the vaccines were contaminated with H5N1. Later Baxter said it was an accident. However, the probability of mixing a live virus biological weapon with vaccine material by accident is virtually impossible. At least 49 girls have died with thousands more hospitalized after receiving the once popular Gardasil vaccine. Of course, only about 10 percent of adverse vaccine reactions are reported. Vaccines are also an important tool of the global elites who through the Rockefeller Foundation and World Health Organization, have decreased fertility rates for global population reduction. It is now well known that the global elite have imposed their absurd Malthusian religion of death on everyone else. In 2009, a “secret billionaire club” meeting took place in New York and was attended by David Rockefeller, Ted Turner, Bill Gates and others. The attendees focused on “how their wealth could be used to slow the growth of the world’s population”. In the latter half of the 20th century, eugenics supporters adopted polices of “population control.” This was crystallized in National Security Study Memorandum 200, a 1974 geopolitical strategy document prepared by Rockefeller’s Bilderberg member stooge, Henry Kissinger, which targeted thirteen countries for massive population reduction by means of creating food scarcity, sterilization and war. The goal of the mass murderer is to reduce the world’s population from 7 billion to 500 million. In fact, they have even created a monument called the Georgia Guidestones to enshrine their perverted fantasy. Obama’s top science and technology advisor John P. Holdren co-authored a 1977 book , Ecoscience, in which he advocated the formation of a “planetary regime” that would use a “global police force” to enforce totalitarian measures of population control, including forced abortions, mass sterilization programs conducted via the food and water supply, as well as mandatory bodily implants that would prevent couples from having children. People around the world now understand that they are under chemical attack as part of a soft-kill operation. Deadly and dangerous toxins ranging from Aspartame to Fluoride, GMO, Mercury-tainting, pesticides, cross-species chimeras, bisphenol A (BPA), plastic compounds in chicken, high fructose corn syrup, cloned meat, rBGH and new aggressive GM species of salmon have all entered into our diets and environments — whether we want it or not. In what is known as chemtrails/geoengineering, the population is being sprayed with aluminum, barium, strontium, and other strange ingredients like red blood cells and fungus. Toxic sulphur dioxide is also being sprayed with malice aforethought. Indeed, there is a war against the general population, and the global warming fraud is also part of it. On page 75 of the Club of Rome’s 1990 publication entitled The First Global Revolution, the organization outlined how they would manufacture ecological scares in order to manipulate the public into accepting the imposition of a dictatorial world government run by them. “In searching for a common enemy against whom we can unite, we came up with the idea that pollution, the threat of global warming, water shortages, famine and the like would fit the bill…. All these dangers are caused by human intervention… The real enemy, then, is humanity itself,” states the report, which can be read in full at the end of this article. Maybe that is why 31,487 scientists, including 9,029 with PhDs, reject manmade global warming. There is no question that depopulation is the intended End Game of the global elite. Al Qaeda is a U.S. tool for regional destabilization. In 1979, al Qaeda, in the form of the Mujahideen/Taliban, was America’s secret weapon in Operation Cyclone. It was geopolitical strategist Zbigniew Brzezinski, (Council on Foreign Relations, Trilateral Commission, Bilderberg Group member) then National Security Advisor under Carter, who trained and funded the Mujahideen to fight the Soviets in Afghanistan. Osama Bin Laden (aka Tim Osman) met with FBI agent Ted Gunderson in the 1986 as Gunderson openly explains. Most recently, the U.S. funded Al-Qaeda to topple Libya’s Gaddafi. “Admittedly the ‘rebel’ forces included more than 1,000 al Qaeda soldiers while enjoying total backing – weapons, planes, funding and forces – from the U.S., Britain, NATO and other allies.” The Bush and Bin Laden families invested together in the Carlyle Group. With that said, it is becoming very difficult for the globalists to advance their policy using false flag terror. Kurt Haskell ensured that the public found out that the Christmas underwear bomber was a government patsy used to scare the American people into accepting airport naked body scanners. Likewise, the American people didn’t fall for the bogus plot cooked up by the FBI and DEA to frame an Iranian used car dealer, claiming he tried to set up an assassination, thereby somehow justifying an attack on Iran. Secretary of State Hillary Clinton made a tacit admission during a U.S. Foreign Policy Priorities committee meeting, arguing that the State Department needs more money because the US military-industrial complex is “losing the information war” to the alternative media. Like a bottle of 1947 Chateau Cheval Blanc, the alternative media keeps getting better. The talented researchers and journalists not beholden to corporate masters control the Overton Window. Ideas once thought radical, such as abolishing the private Federal Reserve and exposing false flag terror, are now freely discussed. The globalists no longer have the benefit of secrecy. They have already played their cards. Increasingly, more military and government employees are becoming whistleblowers, now that they are aware of the corrupt fascist agenda around them. FBI Agent Coleen Rowley revealed the FBI’s willful failures to prevent 9/11. During the early aftermath of September 11th, when I happened to be recounting the pre–September 11th events concerning the Moussaoui investigation to other FBI personnel in other divisions or in FBIHQ, almost everyone’s first question was Why?–Why would an FBI agent(s) deliberately sabotage a case? (I know I shouldn’t be flippant about this, but jokes were actually made that the key FBI HQ personnel had to be spies or moles, who were actually working for Osama Bin Laden to have so undercut Minneapolis’s effort. That sounds similar to the 1993 World Trade Center bombing, where certain individuals within the FBI refused to let their informant Emad A. Salem stop the attack. Lieutenant Colonel Anthony Schaffer went public regarding the existence of the Able Danger program that had identified alleged 9/11 lead hijacker Mohammed Atta and three other al-CIAeda operatives operating in the United States prior to 9/11. Over 1,600 architects and engineers say the official 9/11 story is a fraud as do hundreds of government officials. Other government whistleblowers and contractors have recently exposed plans to treat Americans as enemy combatants and the fact that FEMA concentration camps are being activated. Former FBI agent Ted Gunderson exposed CIA drug running, false flag operations, mind control, and child abuse. Even researcher Fritz Springmeier is back in action, exposing the crimes and mind control that the globalists inflict on humanity. Inform others of the real government by emailing them important articles. Distribute flyers to inform your neighbors. Boycott corporate sponsors of the Council on Foreign Relations, Trilateral Commission and Bilderberg Group. Refuse to take any action that violates your conscience. To conclude, in 2012 the Globalist agenda is ripe for defeat if we continue to inform others and refuse to support those attempting to enslave humanity. Paul Adams is your humble servant and holds a Juris Doctor. He is passionate about educating himself and others to achieve peace, equality and justice for all. Be the first to comment on "2012: Evidence Suggests Defeat for the New World Order"